Merritt C. Reitzel (Of Counsel) – Schiffman Sheridan & Brown, P.C. Merritt C. Reitzel practices corporate/business and real estate law, as well as general litigation, including commercial, construction, and contract disputes. She advises local and statewide land trusts in the establishment, interpretation, assignment, and enforcement of conservation and historic preservation easements, and provides counsel in the area of non-profit corporation law. Prior to joining Schiffman, Sheridan & Brown P.C. 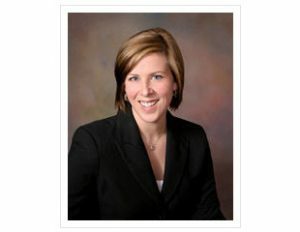 in September 2007, Ms. Reitzel was employed as a law clerk to Pennsylvania Supreme Court Justice J. Michael Eakin. Ms. Reitzel began her legal career in 2003 as a law clerk to The Honorable Bruce F. Bratton in the Dauphin County Court of Common Pleas. Ms. Reitzel received her undergraduate degree from The University of Pittsburgh in 1999. She received her law degree in 2003 from The Dickinson School of Law of The Pennsylvania State University in Carlisle, Pennsylvania. She was admitted to practice law in the Commonwealth of Pennsylvania in 2003. Ms. Reitzel is a member of the Dauphin County Bar Association, and is a monitor for the Dauphin County Pro Bono Guardianship Monitoring Program.